Four sometime now, we have been exploring Nigeria in small groups- usually with about 10-20 people; which allows for flexibility. We travel together, connect with the local people, stay in smaller (but comfortable) hotels and visit places that larger groups may find difficult to access. Not only does this minimize our impact on the environment, it also allows for a better, more inspiring experience for you. Our small group tours are mostly on weekends (Friday-Sunday), so as to accommodate the large population of average working class Nigerians who yearn for a time to unwind from their weekly busy schedules. Although our groups are made up of mixed ages, nationalities, tribes and interests, however, everyone is sure to have one thing in common: a shared love for travel and adventure. Solo travelers, couples and friends travelling together- are all welcome. This mix is what adds spice to your overall experience on our tour, and it is quite usual for lifelong friendships to be formed on our tours. We shall update this page from time to time to notify the public about our upcoming tours, however, you can receive automatic notifications on specific details about our upcoming small group tours by submitting your email address through the textbox below the “Explore Naija” banner on the right side pane of the Naijatreks blog. 1-Day Visit to Eredo Moat and Queen Sheba’s Tomb- The Largest Archaeological Monument in West Africa, Lagos State (1 DayTrip) – *South West Nigeria. *Take off location is Lagos* Date- 27th February, 2016. Sungbo’s Eredo Moat, Eyinfun Spring, Queen Sheba’s Tomb. A Camping and Hiking Trip to Oke-Ado Mountain, Oyo State (2 Days, 1 Night Trip) – *South West Nigeria. *Take off location is Lagos* Date- June, 2016. Oka-Ado Mountain: Hiking, suspended lakes at mountain top, panoramic landscapes. A Camping and Hiking Trip to Akure and Idanre Hills, Ondo State (Weekend trip, 2 nights) – *South West Nigeria. *Take off location is Lagos* Date- June, 2016. Ancient Akure Oba’s Palace, Idanre Hills, Omi-Iwo Cave etc. : Hiking, suspended lakes at mountain top, panoramic landscapes. Please, if you are interested in any of our tours and your location is anywhere in Nigeria other than Lagos and Abuja, we can still make arrangements for you to be part of our tours. Kindly notify us in advance. 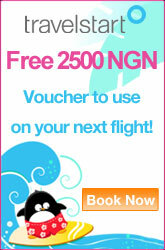 For further enquiries on our tours, kindly reach us at tours@naijatreks.com or call 07037910923 or 08091871463. @Aboiola…we have sent you an email with respect to your inquiry. Thanks.